Well, that was a valiant try Linda Winchell, not all animals understand good pitch. At No Place Like Home Remodeling we may not be able to read the minds of animals either, but we CERTAINLY know how to build a great back deck! This customer was in need of a way to not only enter his home safely (he previously had wide concrete steps with no handrails), but also he wanted a place where the family could sit and enjoy a barbecue while taking in the sunset (and a sunrise while enjoying a morning coffee). Are you in need of a back deck along these lines? Or anything else home improvement related? Are you puzzled or overwhelmed on where to get started? Feel free to email or give us a call today, after all, we’re here to help! “Second Lieutenant Jack Rine of the U.S. Marine Corps was serving as infantry platoon commander during the Vietnam War when tragedy struck. Rine was communicating with the company commander under heavy gunfire when he felt an intense pain in his left side. Looking down, he discovered what he dreaded most—a bullet wound. Regardless of how you arrived at your current situation, be it an armed service veteran, an accident or health driven issues, we deal with these types of cases on a daily basis here at No Place Like Home Remodeling. 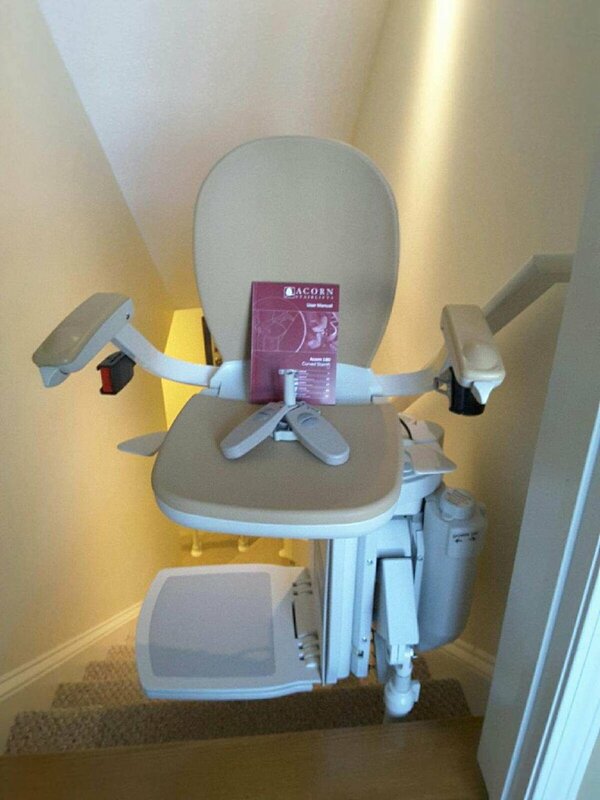 We understand the fear of having to rely on a wheelchair. Are you in-need of a ramp system? Feel free to call or email us today for your free home estimate. Because, at No Place Like Home Remodeling, we’re here to help! “When I was younger, I used to sing in the shower. Now, I make life decisions in there…” Oh, how true that is Zelle, a lot of problems can be solved within that space. At No Place Like Home Remodeling, we tend to turn ‘life decisions’ into realities, not by way of water, but by careful planning and implementation. 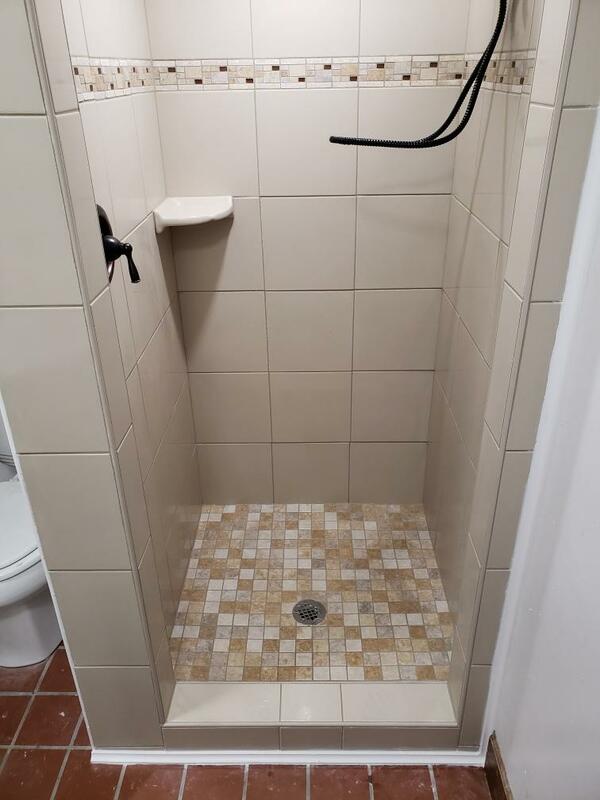 This job consisted of lower the height of the shower threshold and widening the overall width of the shower walls, and of course, beautifying those dingy white tiles, which were certainly in-need of an upgrade. 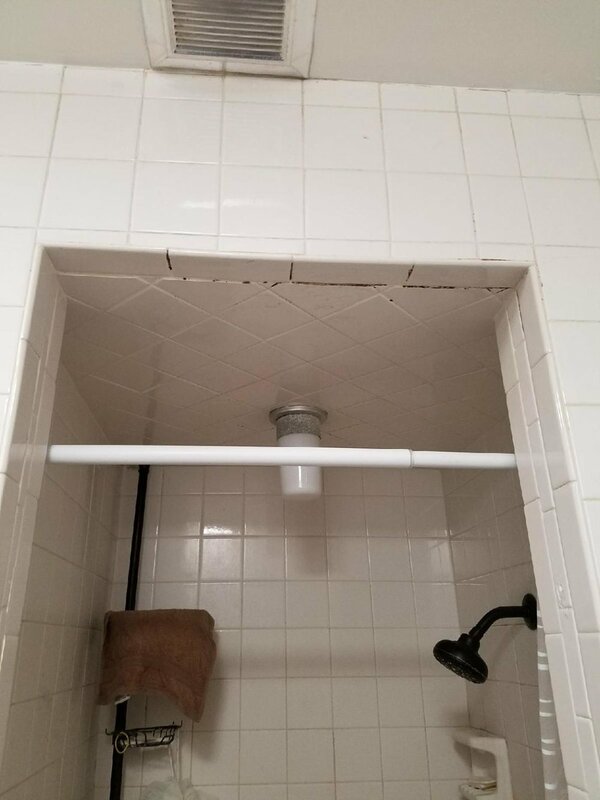 Are you looking to update your shower? Or, upgrade something else in your home? If so, don’t hesitate; contact us today for your free estimate! “Fear of change is like standing under a hot shower and knowing the moment you'll turn it off you'll be freezing cold.” That’s a profoundly deep statement Erik Tanghe, and I would say to you sir, you might think about investing in a portable heater, that’ll keep everything nice and warm when you’re finished with your shower. Here at No Place Like Home Remodeling, we strive to please each and everyone of our clients. This client was in need of a walk-in shower, grab bars and some overall cosmetics (tile removal and putting back white wallboard). Are you in need of a tub to walk-in shower replacement? Or, are you looking to upgrade something in your home? If so, don’t hesitate, contact us today for your free estimate! “If you strive for the moon, maybe you'll get over the fence.” Well said James Woods, however, in this particular case, we need the dog to stay inside the fence. At No Place like Home Remodeling our mission has always been meeting client needs regardless of the situation. At this location, our client has a service dog, which aids him with his daily activities. 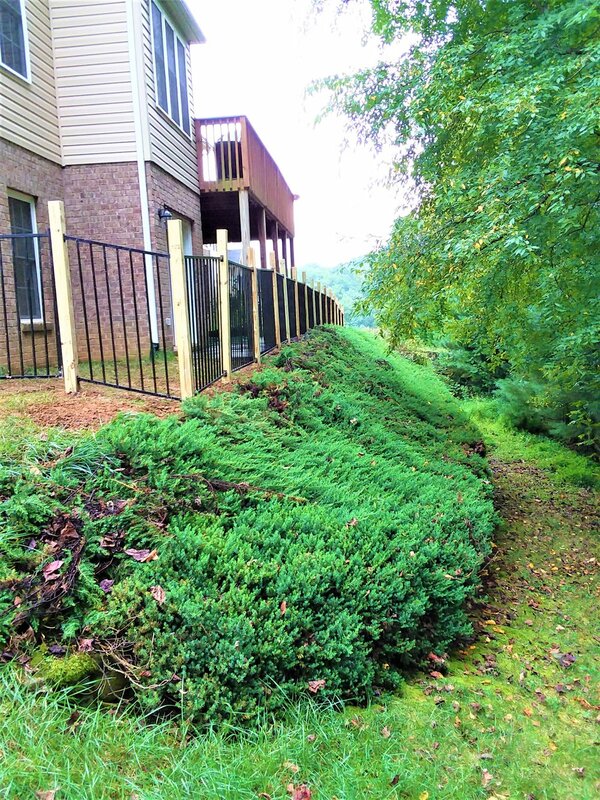 Our job was straight forward, build a fence that not only kept the dog from roaming free, but also had curb appeal. And as you can see below, we accomplished both in a short amount of time. Are you in need of a fence similar to below pictures? Or, are you looking for something else altogether? Regardless, contact us for your free estimate today! “Because you fit me... my world looks brighter, my life seems better, my heart feels warmer, because you fit me... like my favorite sweater. ” Well now Aileen, nothing like a good fitting sweater to brighten the ol’ day! Here at No Place Like Home Remodeling, much like a good fitting sweater, we take pride in fitting the right ramp rental, with the right client. This client was in need of some help accessing her home after leaving a rehabilitation facility. Within a few hours of contacting us, the ramp was delivered and setup. Are you looking for temporary access to your home like the below picture? Contact us today for your free estimate! "A third-pound of ground beef and a pile of diced ramp bulbs laced with steak seasoning... no fancy buns required! Let’s eat!" Dear ole Colten Sorrells, dare I say that sounds delicious! When it comes to cooking; they say keep it simple and let the flavor do the talking. That’s a great notation, however, here at No Place Like Home Remodeling, our ‘diced ramp bulbs,’ are a combination of precise planning and customer needs. This particular customer was in desperate need of an even surface sidewalk leading from their driveway to their home entrance. If you’ll notice in the pictures below, the existing step/sidewalk combo made it very difficult for aid workers to service our client who’s fully wheelchair bound. We were tasked with solving this problem and did so by building that much needed even surface sidewalk through careful planning and consideration. Are you or someone you know in a similar situation? Or, do you need guidance on where to start with a home remodel? Do you have a commercial space that’s looking for an upgrade? Email, or give us a call today for your FREE estimate! "Big dreams happen in small places." That is the truth Jack Wallington. Here at No Place Like Home Remodeling, we pride ourselves on taking the smallest ideas or 'hope it's possible' type daydreams, and turn them into realities. This dream may have been 'small' on the inside, but was 'big' on the outside. As the pictures indicate, this couple was in-need of a complete bathroom remodel. From a tub swap with a new tile floor to a new vanity featuring a picture framed mirror. Are you in-need of a bathroom remodel? Or, do you own a commercial property and are in-need of someones help with your build-out? We can do those and a lot of stuff in-between! Contact us today for your free estimate! "I wanted to enter her barn door, I wanted her farm to the very core. She said no, we lost rapport, our tongues then went to war. Our bulls hoofed in ink galore, she fell deaf to my words implore. I wanted her farm to the very core, our paths lonely forevermore." Sometimes the barn door's locked Connie Pachecho, and that's not always a bad thing. However, at No Place Like Home Remodeling, we take pride in giving our customers what they want, when they want it. Is that a bit self-indulgent? Absolutely, because our customers deserve nothing less than the best. Over the years, No Place Like Home Remodeling has not only been focusing on the 'outwardly approach' to home accessibility (from conception to creation), but we also take pride in our careful consideration of the 'emotional strain' in puts on the customer during the overall process. As the pictures indicate below, this veteran was in need of a walk-in shower, a new vanity, an ultra-high toilet, a grab bar and a barn door for easy access. As this job took more than a couple days, we worked closely with the customer on our daily start and finish times, and everything else in-between. By keeping them in the know, it allowed for proper planning on their behalf. Are you looking for a remodeling change? Are you in need of similar work? Or, do you just need to talk with someone on how to get started? If so, feel free to give us a call or email us with any questions or concerns. We'll walk you through every step of the process! "There in the mist, enormous, majestic, and silent, stood the Great Wall of China. Solitarily, with the indifference of nature herself, it crept up the mountain side and slipped down to the depth of the valley." What a sight that must have been W. Somerset Maugham, and here at No Place Like Home Remodeling, we do build 'great walls,' but just not on that scale. At No Place Like Home Remodeling we take pleasure in fulfilling exactly what the customer wants and needs! Is your backyard in need of a transformation? Call or email us today for a free quote! "[Feeling] the breeze going through your hair, hitting the ramps and getting air, grinding the rails and riding around, listen to your wheels what a wonderful sound." Yes, Chris Yarnell, all of that is certainly true! However, At No Place Like Home Remodeling, we focus less on "heelflips and kickflips," and more ON providing ramps for accessibility scooters with maximum speeds of 4.5 mph. This disabled homeowner was in need of a new, fully redesigned front deck, built completely out of treated lumber with an aluminum ramp system attached. At No Place Like Home Remodeling, we exist to help our senior, handicapped, and disabled clients. We understand how valuable the term "low maintenance" is to our aging clients who need our aluminum ramp systems. We understand the value of being able to rent a "low maintenance" aluminum ramp system when a situation may arise (a sports injury, general surgery, a work-related injury and so on). We also understand that sometimes, you might need a simple aluminum ramp system longer than a rental, and you might need it faster than having it installed by our team, so that is why we now offer our product section. Are you looking for safety and accessibility? Call or email us today for a free estimate! That's what we do at No Place Like Home Remodeling, Sanhita Baruah, in fact, this Storm Door, has a "Fullview with a Dual-Pane Insulating Glass." This "top of the line ventilation storm door," offered our customer "enhanced energy efficiency." The homeowners storm door, unfortunately, had seen better days. Weather had taken its toll and as a direct result of that, the door had become increasingly harder to close. At No Place Like Home Remodeling we take pride in assessing and fulfilling exactly what the customer wants and needs! Are you looking to replace a storm door but you're not sure really where to start or who to call? Stop worrying, you're at the right place. Call or email us today for your free estimate! "One step at a time is good walking." That is spot on! This Chinese proverb is a direct reflection of today's grab bars. As you will see, in the before and after photos below, safety was a huge concern when it came to this set of steps which lead up to the patio. The homeowner had been using the patio door as a way of bracing herself in order to get up the last step and into her house. At No Place Like Home Remodeling, accessibility, well, that's our forte. After assessing the situation, we installed a diagonal bar spanning the majority of the steps and a vertical bar over the last step allowing the homeowner complete stability as she enters the patio. Are you looking for something along these lines? Call or email us today for a free estimate! Ah, yes, George Mikes, the love of a cat. Here at No Place Like Home Remodeling, we provide services, that, well, benefit the 'useful domestic animal,' which in turn, benefits the furry feline. This homeowner was in need of replacing her screened-in porch. Weather had taken a toll. Rotted wood, distressed chipped paint and several 'feline' type rips in the screen, which had been patched over with tape. As we began the remodeling process, we quickly realized the admiration and respect she had for her animals and that this reworking process was necessary from a safety standpoint, but also, it was a relief for her knowing that her cats could go outside on the porch and play without fear of them pushing through the screen or pushing open the door. Are you in a similar situation? If so, call of email us today for your free estimate! That's absolute truth by Benjamin Franklin. However, when water's streaming through your front yard, 'well,' that's kind of a different story. At No Place Like Home Remodeling, we are sometimes tasked with a compelling situation. 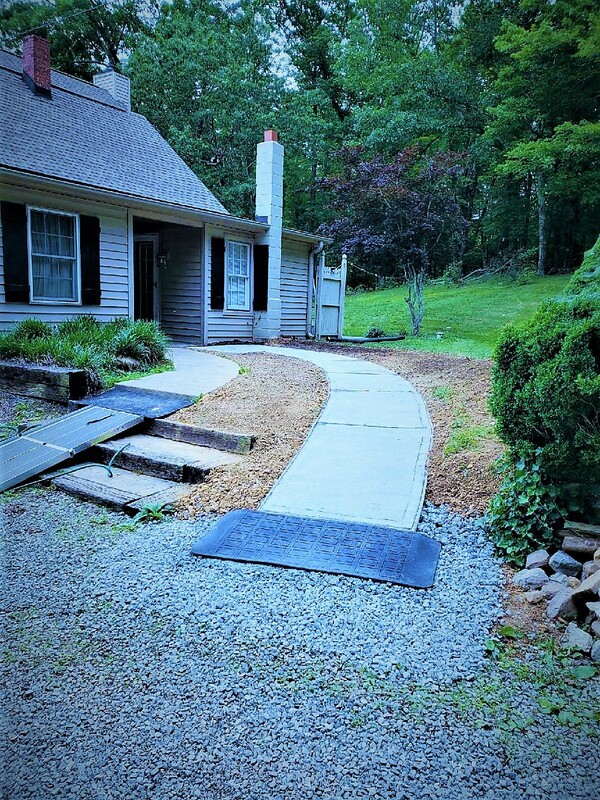 This home owner, in order to go from her front door to her driveway, she had to walk through a natural water source (a low running spring), and use protruding river bed rocks as 'homemade' stepping stones. Needless to say, this lady does not live on the frontier. And after careful consideration and planning, the team at No Place Like Home Remodeling, took a potentially hazardous situation and turned it into the below twenty-foot concrete sidewalk with a capped handrail. Have you been putting off a similar situation? Call or email us today for your free estimate. Let the people at No Place Like Home Remodeling put your mind at ease! "The Water, blue from the bubble bath, smells like an orange, ancient, triangular spire in the early dawn of Time." Lots of intriguing layers from this modern poet named 'Jaded Soul.' Here at No Place Like Home Remodeling, we endorse layers, we work hand-in-hand with home owners. From their discover, to our completion, we turn visions into realities. Need. It's defined as, "require (something) because it is essential or very important." This home owner was very much in 'need.' An owner of two properties, one where she currently resided and the second, where she had a desire to move. Problem. Defined, "a matter or situation regarded as unwelcome--needing to be dealt with and overcome." It was that straightforward. The second property, had an unusable bathtub. In the sense that the home owner had certain mobility issues making it difficult for her get in-and-out of that particular bathtub. Resolution. Defined as, "the action of solving a problem." And at No Place Like Home Remodeling, that's exactly what we did, assessed and solved. "Two roads diverged in a yellow wood and sorry I could not travel both and be one traveler, long I stood." Thank you Robert Frost. Piercing words about life's quandaries. Should I go left? Should I go right? I will say, At No Place Like Home Remodeling, we go straight ahead. And then (dramatic pause), to the left or right depending on where the plumbing is located. At No Place Like Home Remodeling, we truly do focus on customers needs and wants. And without further ado, our Batten Style Access Door. This 'Yellow Wooded' critter blocker, allows the owner easy access to essential plumbing and storage under their mobile home. No more dealing with flimsy underpinning. If you're in this same boat, dock with us at No Place Like Home Remodeling. Call or email us today for your free estimate! "My disability exists not because I use a wheelchair, but because the broader environment isn't accessible." Those were compelling words by Stella Young. As No Place Like Home Remodeling has progressed over the years, we've found that those who seek accessiblity for their loved ones, are oftentimes, in the same position at the end of the day. No Place Like Home Remodeling believes as Stella Young did, that accessibility should not be a luxury, it should be commonplace and readily available. The below ramp not only benefits the initial one in need, it also makes life easier on the ailing spouse, along with all the aid workers that rotate shifts on a daily basis. Stop putting off a brighter future by reclaiming your independence. Call No Place Like Home Remodeling and start putting the pieces of normality back in your life today! "How many dawns, chill from his rippling rest. The seagull’s wings shall dip and pivot him--O Sleepless as the river under thee..."
Wait, this is not the Brooklyn Bridge by Hart Crane. Our poetry at No Place Like Home Remodeling, well, it goes a little more like this, "Neighbor: O how I wish to cross this stream without getting my feet wet... Home Owner: Okay, you can, use the bridge." At No Place Like Home Remodeling, we focus on making all aspects of your property accessible. We 'bridge' the gap. With limited access in their front yard, this home owner can now comfortably host back yard events and family gatherings with ease. Are you looking to maximize your space with safety and accessibility? Call us today for a free estimate! Do you live in your dream home? The one you built or bought in that perfect spot to enjoy your retirement years. 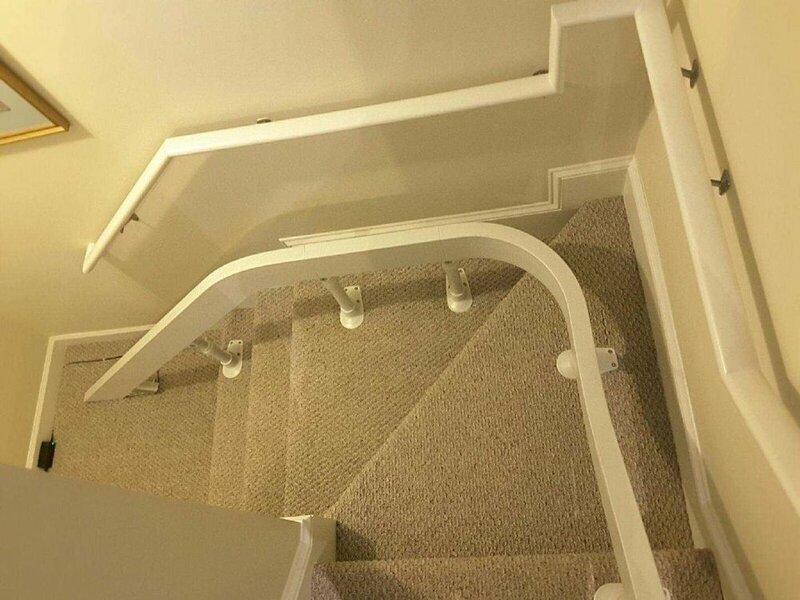 Does your dream home have stairs that are becoming increasingly difficult to manage safely? We have the perfect solution to make your home safe and accessible. © 2019 No Place Like Home Remodeling and Consulting Services, LLC | All rights reserved.